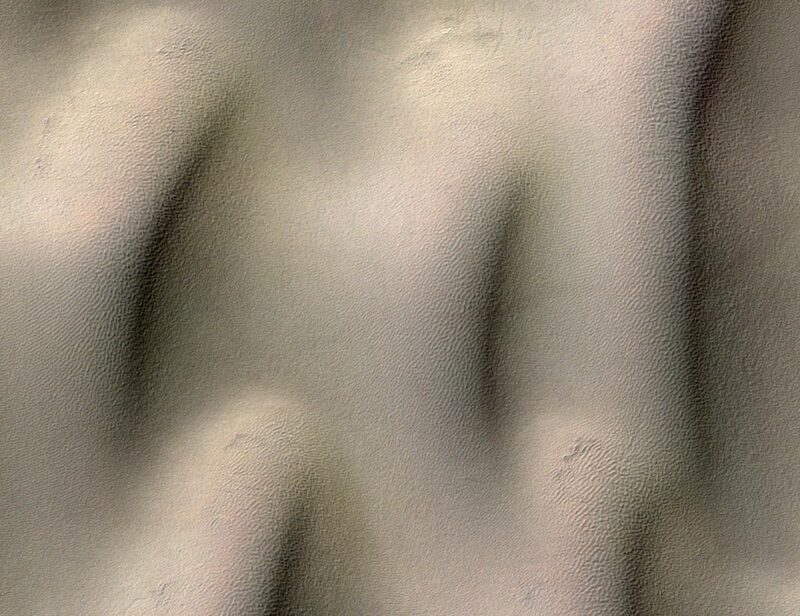 Looks like the dune going through middle has settled in the crack; I would reason the dunes came after. 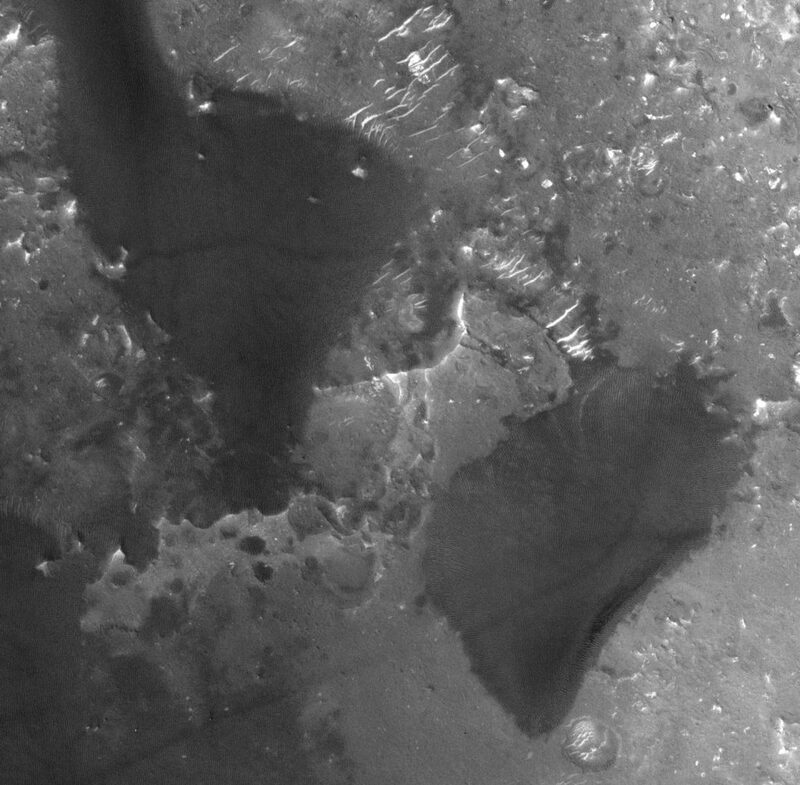 It also appears that the right hand edge of the egg shape goes further out and is deeper in the sand, this would also point to the dunes coming after. I’m assuming that the egg is more solid than the sand which would make sense however, this is only based on the more defined edges. Consider that the egg shape has been deposited then why is there a depression in the largest segment and how did it happen? That crack may have formed from aeolian erosion once the dune stretched across the egg. If there’s more sand moving around right at the foot of the dune, it could have scraped away at the egg and formed the crack. That’s one possibility, anyway. 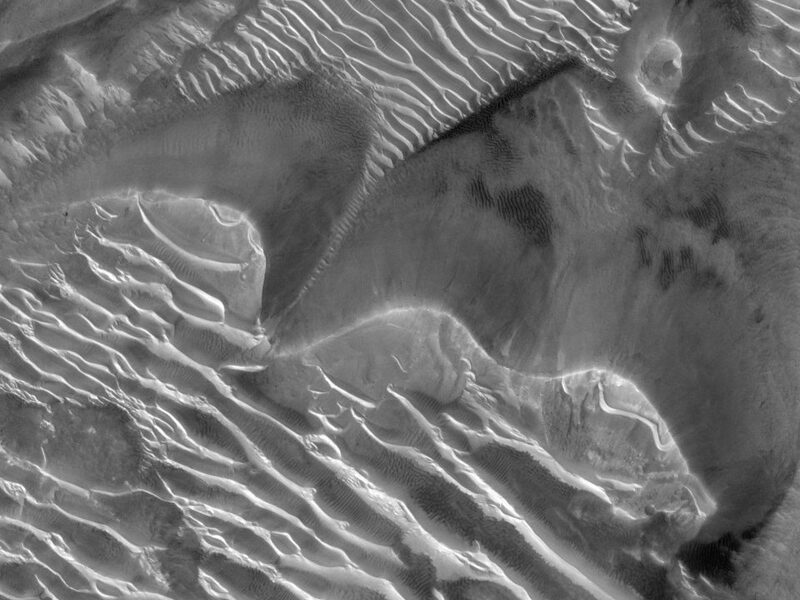 Looks like the plateau was there first then the dunes appear afterwards. I don’t see any landslide evidence at the edge intersections of the dune/plateau interface. 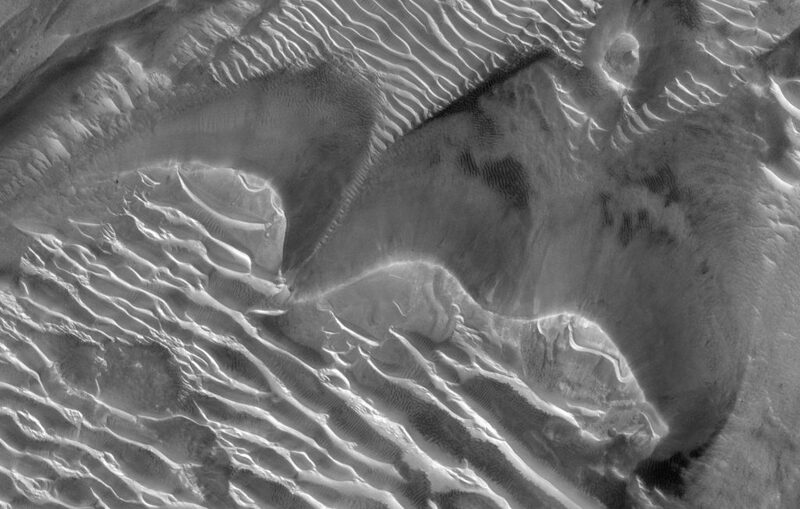 If the dunes were there first then followed by an uplift you’d expect to see dune slides at this interface. I see none. 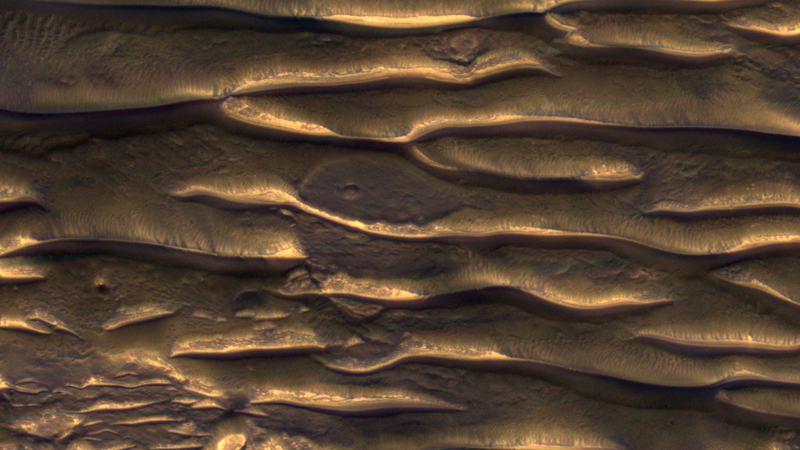 Unless the dunes came first, then a deposit that mostly buried them, and then that deposit was eroded to form the “egg”. (So then there’s no need for uplift, it’s all just burial and erosion.) The only problem then is that the dunes would have to be more resistant to erosion than the material making up the “egg”. 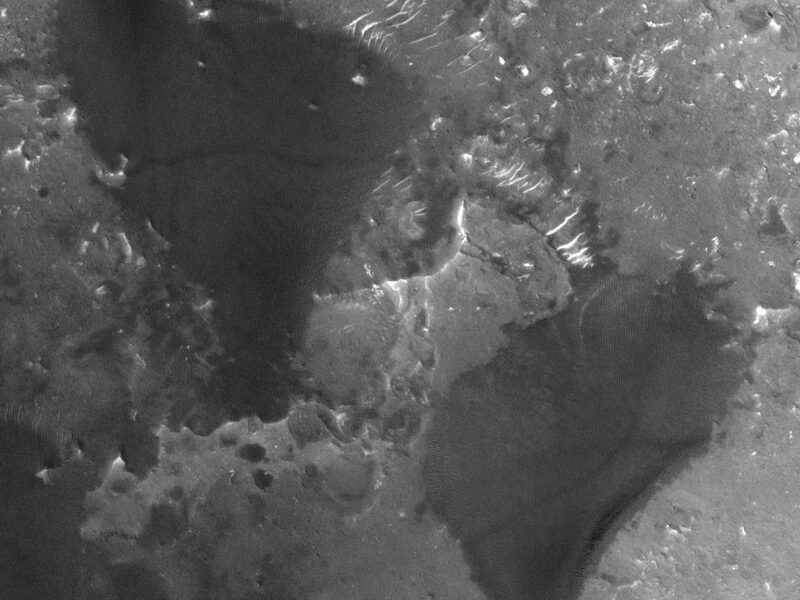 You could argue against that, though, by saying the “egg” surface is cratered and must be strong enough to retain the shape of those craters, whereas the dunes here don’t. You’re probably right, I’m just playing the devil’s advocate for the fun of it.